Thirty-five luxury condos inside The Metropolitan on Main Street were sold last weekend. Downtown Dallas gained almost three dozen new residents this weekend. 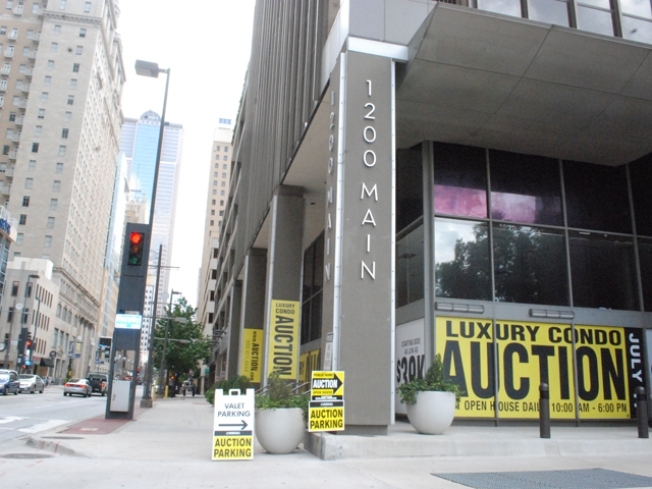 Real Estate Disposition LLC said in one day all 35 select high-rise condominium residences at The Metropolitan in Dallas were sold. Owners of the 4-year-old condo project hired the auction firm to move unoccupied units in the 25-story tower. Several hundred people showed up to bid at Saturday’s auction where the average sales price of each condo was $177,419. Built in the ‘70s as an office tower and converted at a cost of $50 million into residential units, The Metropolitan has a mid-century modern aesthetic. Residents of the newly-renovated building are privy to views overlooking the historic Davis Building, the Magnolia Hotel, the Mercantile Building, Reunion Tower, the SPG Building, the Wilson Building and the Santa Fe Building.